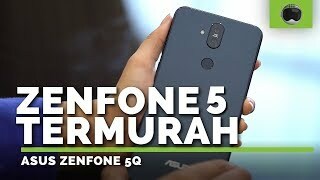 Asus recently grabbed our attention with the latest Asus Zenfone 5 that looks like a clone of the Apple iPhone X. 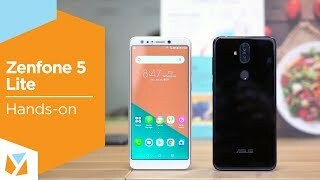 However, the company did release another phone under the Zenfone 5 lineup titled as the Asus Zenfone 5 Lite. 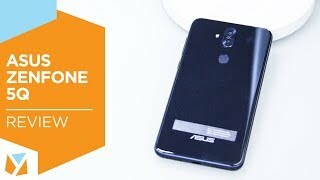 To learn more about this phone and the Asus Zenfone 5 Lite Dubai price and specs, continue reading. It’s the only phone in the recent Asus Zenfone 5 lineup that doesn’t look like a copy of the latest iPhone and the display is not completely near bezel-less either. The display will remind you of the latest LG G6 or Google Pixel 2 XL. It’s a 6.0-inch display showing 2160 x 1080 pixels resolution, 18:9 aspect ratio and 402ppi of pixel density. Just like the phones mentioned earlier, the screen-to-body ratio is below 80, 75.9 percent. Both the front and back side is glass with a touch of aluminum frame. This phone can be found in three different colors after the Asus Zenfone 5 Lite release date UAE: Rouge Red, Moonlight White and Midnight Black. Thanks to dual cameras on both front and back side, users will get ultra wide-view when capturing images on both sides. The primary camera on the back is a 16-megapixel one while the front one will be a 20-megapixel Sony lens. These cameras will be accompanied by a wide angle camera but we don’t know the exact megapixels of these cameras yet. The rear camera will be capable of capturing 4K videos but only the version with Snapdragon 630 processor. Selfie lovers can rejoice as the front camera is almost on par with the rear camera and comes with a LED flash as well. 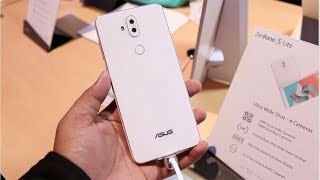 We will be able to find out more about these cameras after the Asus Zenfone 5 Lite release date UAE. There is the Samsung Galaxy S9 and S9 Plus coming out if you wanted a good camera focus phone. 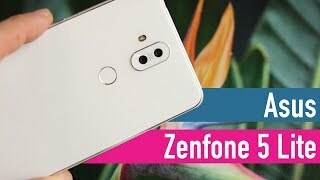 These phones are really expensive compared to the Asus Zenfone 5 Lite but are the first phone in the world to come with variable aperture. 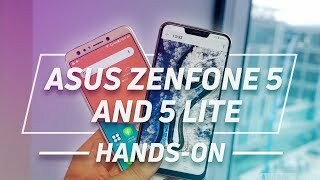 Asus did reveal phones before with bigger batteries but the Zenfone 5 Lite is not one of those phones. It will be packing a decent 3300mAh Li-Ion battery but there won’t be any fast charging. There will be two different versions of this phone with two different processors: one with Qualcomm Snapdragon 630 octa-core and the other one is Qualcomm Snapdragon 430 octa-core processor. These processors will be paired with an optional 4GB of RAM with 64GB built-in storage or 3GB of RAM with 32GB of built-in storage. Some of the other notable features are: Android 8.0 Oreo with Asus ZenUI 5.0, Bluetooth 4.1, NFC, microUSB 2.0 and fingerprint sensor on the back. The Asus Zenfone 5 Lite is expected to cost around AED 1500 . 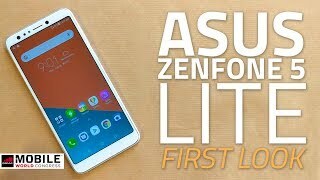 From what we have learned so far, the Asus Zenfone 5 Lite release date UAE is rumored to be sometimes in March, 2018. The 40-inch hd tv ntv4070led black TV is manufactured by Nobel and was added around December 2017. Price has decreased 5% from AED 1055 on 2018-07-04 to AED 999 today.